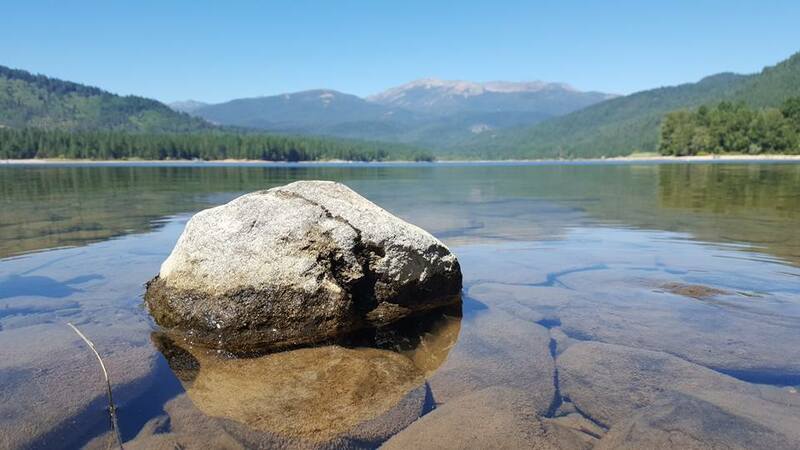 The following is my brief recap and notes from the Mount Shasta SSP Conference that took place this past weekend from the 26th to the 29th. 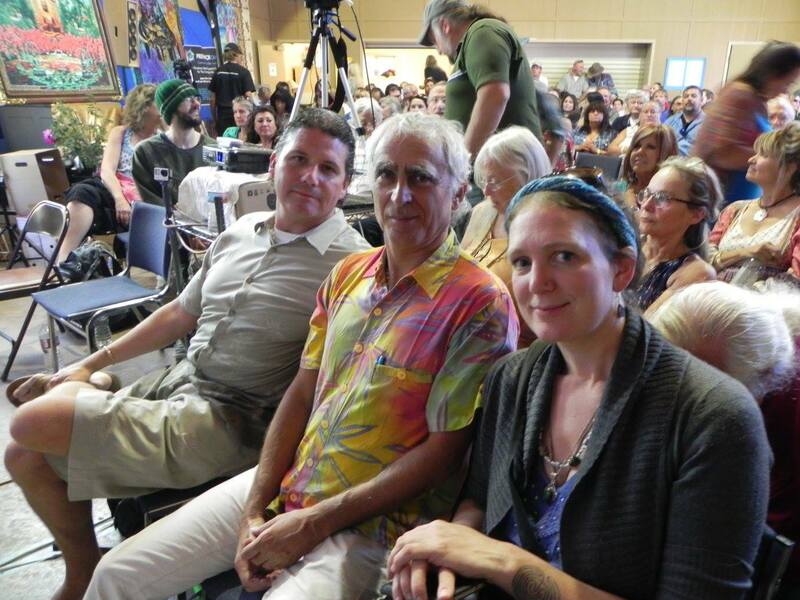 Corey Goode was present, along with Dr. Michael Salla, Laura Eisenhower, and Rob Potter. There will be recordings of the presentations made available by the video production team in time. Once those are ready, I will place a referring link on this site for purchase. The conference was a fun-filled event with lots of energy and excitement. 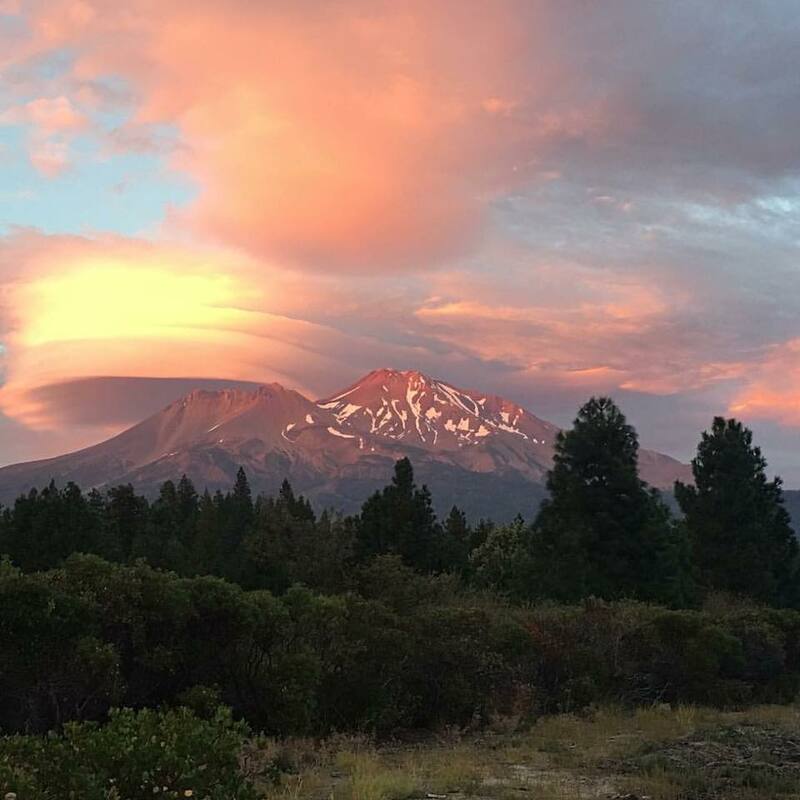 The venue of scenic Mount Shasta was spectacular with beautiful vistas and starry filled night skies. 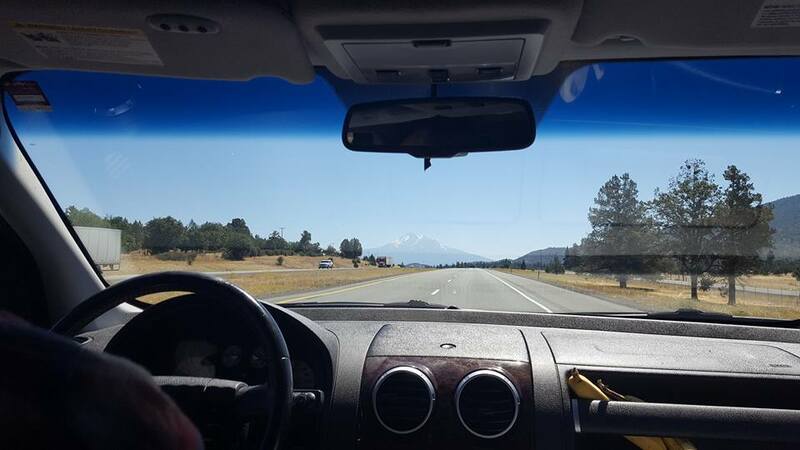 Driving to SSP Shasta Conference. Mountain in the distance is Mount Shasta. I flew into Portland Oregon and drove down on the 25th to hold our Life From Shastapanel discussion and conference kick-off that night with all the speakers. 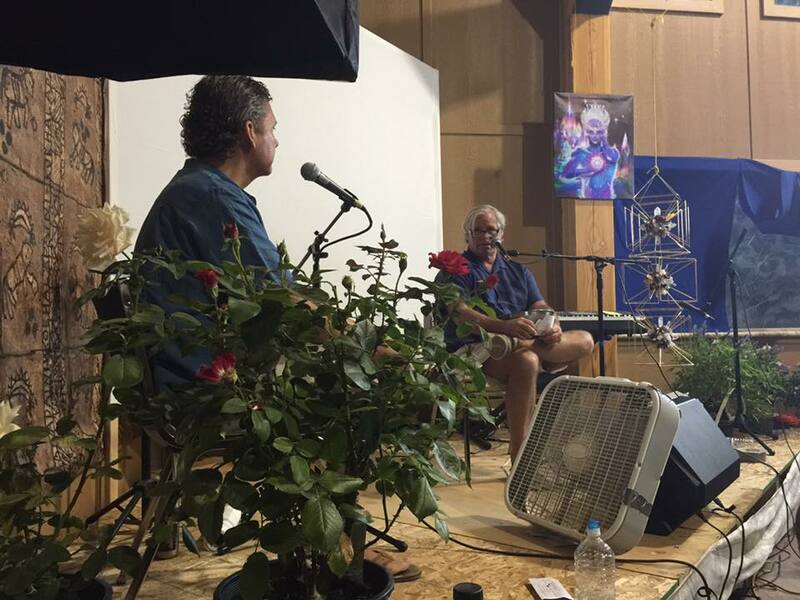 You can listen to an enhanced audio version of that show using the link below. The first hour of the show served as an introduction to what the speakers intended to present in the coming days. 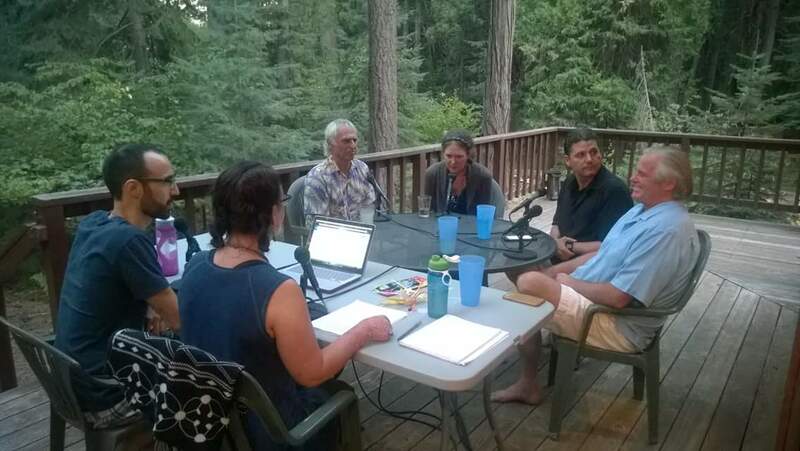 In the second hour, we were joined by Emma Gold (Roger) from Full Disclosure Now, and Kauilapele to discuss the deeper meaning and implications of what was presented in the first hour, specifically regarding the rather low number of people who were ready for positive harvest or ascension as stated by Corey Goode in his recent update. 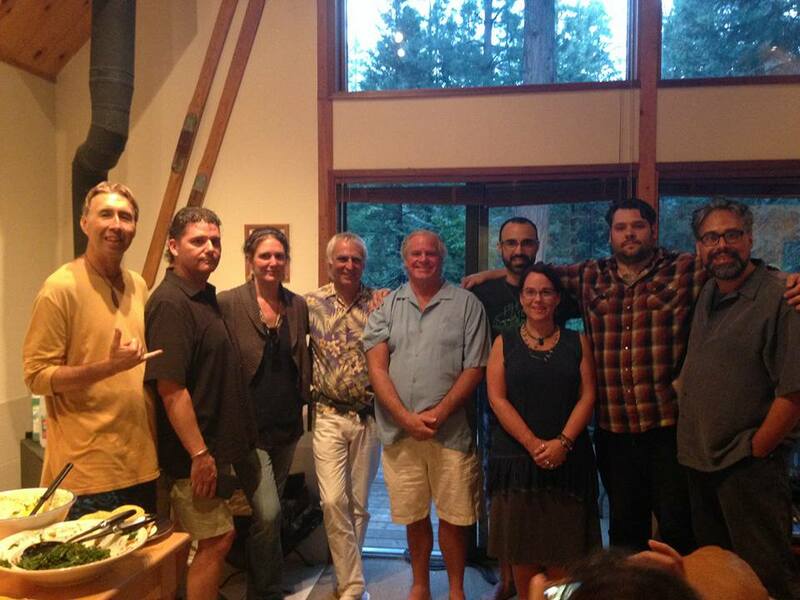 Life From Shasta radio show crew and guest speakers. 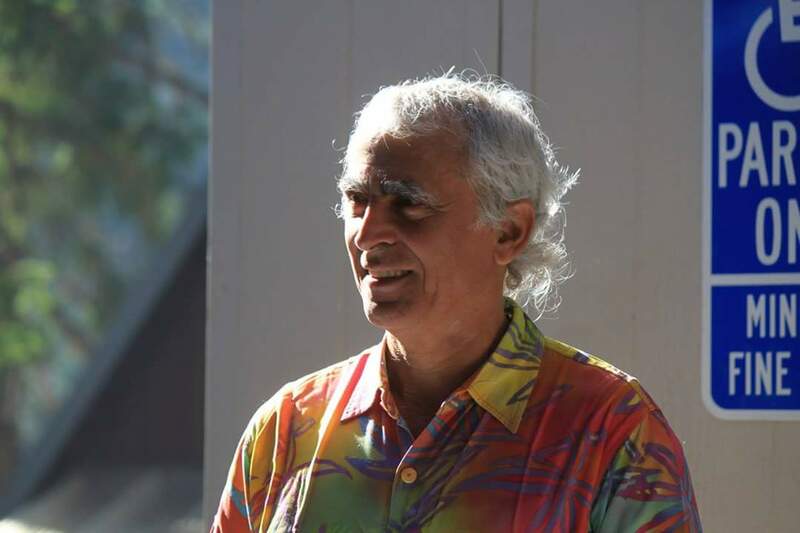 On a personal note, that Thursday of the show was the one-year anniversary of Julian Robles passing, co-founder of Stillness in the Storm. We discussed this briefly on the show in relation to the inner work, how our ability to simply redefine experiences so that they are perceived as positive and uplifting can be powerfully healing. Everyone in our little crew who came down early for the show, about six of us in total, were exhausted by the day’s events. I didn’t get more than an hour’s sleep the night before but the excitement and energy of what we were gathering for was palpable. The next day we had some great personal discussions and sharings, getting to know more of the folks gathered there. For me, the act of being in common unity with others, listening to their personal experiences and perspectives is very rewarding as it helps establish deeper connections with our fellows on the path. In the process rapport is developed that lays the foundation for collective action and loving support in general. It was like a family reunion and first-time meeting all in one. After spending the afternoon getting to know our newfound friends, we drove to the venue for the opening ceremony. Rob Potter hosted the orientation. We decided to get some much-needed rest that night, after spending some time with some of the speakers. For whatever reason, I had some very intense and dark dreams that night—and I wasn’t the only one. Rene, the sound engineer for the pre-conference show, used his shamanistic abilities to clear some of this energy by toning with Tibetan singing bowls. 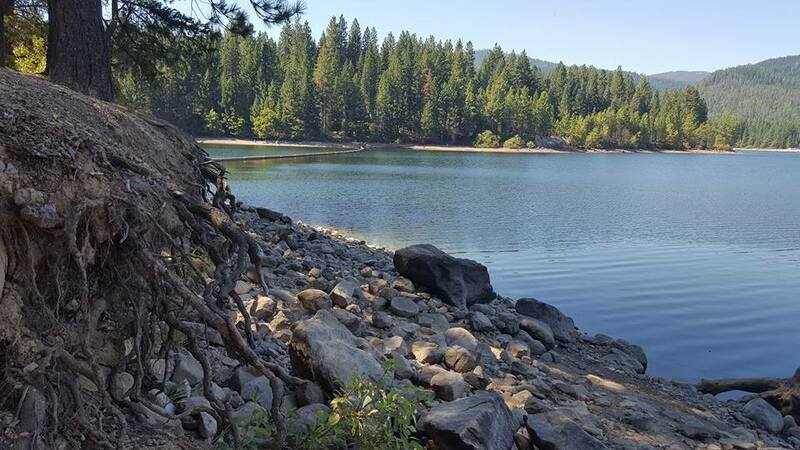 This helped but we felt that instead of rushing to the event, we should take some time to acclimate to the area, relaxing near a mountain lake close to the venue. As a result, we ended up missing Rob Potter’s presentation, something I look forward to reviewing once the archives become available. Note: All notes provided below are summarizations of what was shared, not direct quotes from the speakers unless otherwise marked by quotations. My commentary, when applicable, is in [bracketed text]. Corey Goode, Dr. Michael Salla and Laura Eisenhower. After Rob Potter, Dr. Michael Salla gave his talk. Dr. Salla provided a comprehensive overview in his usual detailed style of presentation. Much of the information provided was also in his book, Insiders Reveal Secret Space Programs & Extraterrestrial Alliances. In the mid 20th Century, Douglas Aviation Company set up a secret think tank that eventually branched off to become the Rand Corporation. Prior to William Tompkins joining the think tank at Douglas, he was responsible for sending briefing packets to various figures within the SSP at the time, which contained information needed to reverse engineer extraterrestrial spacecraft. Inner-Earth Anshar people helped Russians in an effort to provide a positive balancing force against the western Cabal, who had been taken over by the Nazis or German occult groups. Positive Nordics were in contact with Russians, which continued up to the present. Corey Goode stated in the past that the Sphere Being Alliance provided defensive technology to the SSP Alliance. Dr. Salla adds that the Russians were also provided some of this technology as well. Seth Speaks and the Law of One are the two works mentioned by SSP insiders as “required reading.” In the Seth material, it is stated that when we are having fun we are servicing others. But if we force ourselves to do something under the guise of servicing others—without having fun—we don’t service others or ourselves. This ends part one of Dr. Salla’s presentation. Let me take a moment to offer some of my thoughts on this point raised by Dr. Salla in relation to the Seth material. Seth’s statements are conceptually similar to the Tibetan Rainbow Body teaching, which is to “make every thought a loving thought.” But this is only the internal side of the equation, the external side tells us if our actions really do help or service others. The combination of both factors determines if we are actually serving others. In other words, having fun—in and of itself—isn’t enough to say we are servicing others. Psychopaths probably have fun while harming others, but obviously the receiving party isn’t being positively benefited and clearly just having fun isn’t the only factor to consider. Instead, this phrase from the Seth material suggests that our ability to go within and redefine how we conceptualize experience empowers us to feel differently about it. When we change the meaning of what we are doing so that it becomes positive and uplifting—for us—this lays the vibrational foundation for serving others. If we are having fun, then we are positive, radiating a high vibration within and around us. For example, finding reasons to love our job and the people we work with forgiving them as needed, improves our emotional experience, which means we are more likely to be positive and helpful. But we also must be brave enough to face the truth that we may be harming others without our awareness. Good intentions sometimes cause harm. Here is a brief list of things most of us do that are self-serving and contribute to the harm of others. Paying taxes feeds to the war machine of the Cabal. Buying food and clothing that is tainted by slave labor ensures these harmful industries continue to flourish. Simply using Federal Reserve notes in general provides the Cabal with implied consent, along with participating in the voting systems of most nations. And the list of how we contribute to the suffering of others goes on and on—all under the guise of a positive intention. So the moral of this story is that while having fun is a good place to start, we also need to be open to the truth of what our actions actually do in the world. And I think this dovetails into the discussion about how many people are ready to ascend. Corey Goode mentioned in our talk that the number he was given by Raw-Teir-Eir was 300,000 which calculated out to 1 out of 2,300 people. Many of us in the awakening community would like to believe we are ready to ascend, for we are generally positive and happy people. Yet are we also honoring our past and present contributions to this world? If we placed all our deeds on the table, making one pile for actions that really did service others and ones that were harmful to others while servicing ourselves, I think most of us would be surprised by the size of the service to self pile. The Cabal created a situation where good people are forced to do bad things to survive. Nearly everyone in the civilized world has played a part in the harm of others—usually without us being aware of it. But the universe holds us to a high standard, and I suspect that this is one of the reasons why the Sphere Beings told Corey that only 300,000 people were ready for ascension— and he wasn’t one of them. Ultimately, what seems to determine if we service others depends on our intentions, how we feel in the process, and what is actually received by others. And of course, one good deed does not undo the wrong of others. We can’t feed the homeless one day of the week and then turn a blind eye to slavery for the remaining days and still consider ourselves to be truly servicing others. The universe takes into account everything we think, feel and do, not just the things we choose to focus on. This is a sobering realization to make, but given Corey Goode stated in his recent update that only 300,000 people were ready for fourth density positive harvest, it suggests that we all would do well to look in the mirror and ask ourselves what our actions, or lack thereof, are doing to this world. As Corey says, we need to be brave enough to turn the light inward and face our own darkness so that it can be transformed. Following our Joy is essentially what Seth is referring to but I think this also has to be balanced with honest reflection. Making every thought a loving thought is what the Tibetan Rainbow Body masters have shared, those individuals who have actually made this transition in the past. This suggests that personal change and transformation is arguably the most important thing we can do, which is given expression in life as a dedication to service others in all ways. When others are harmed in our presence or by way of our direct or indirect support, and we failed to take actions to change this, then a causal relationship is established with the harming party (complacency to harm), essentially creating a karmic debt or depolarization of positive progress. I think this is the part that has been largely unacknowledged within awakening circles because it’s difficult to accept or even become aware of. It requires one use the laws of causality to analyze their actions as much as possible, looking for traces of accidental harm. Once found, an effort to reconcile any divergence is required to restore the balance—forgiveness of oneself and an offer of healing towards the harmed party as an energetic recompense. Therefore, if we gathered together to help each other in an effort to stop supporting the systems of slavery on earth while also taking steps to defend the rights of others, preventing harm in the process, positive polarization in the community of awakening souls would quickly take place. In short, I think many of us are on the cutting edge of becoming harvestable, we just have to follow through with our desires to be STO and ensure everything we do is cast against this noble pursuit. Finally, one quote I thought was particularly relevant to this discussion of being ready for harvest. In this context, it means that when we think we’ve already reached the mountaintop, or that we are ready for ascension, we may become complacent and stagnant. Acting as if we haven’t reached the goal yet ensures we’ll continue to work hard at polarizing towards STO. Our rationale should be to service others as much as possible, not that we need to work only hard enough to ensure our personal ascension. Corey Goode offered more in the way of secret space program history, expanding on some of the points raised during Dr. Salla’s presentation. This was the first time Goode was to take the stage alone, and the crowd cheered him in support. It was nice to see a more personal side of him that we normally don’t get exposed to. 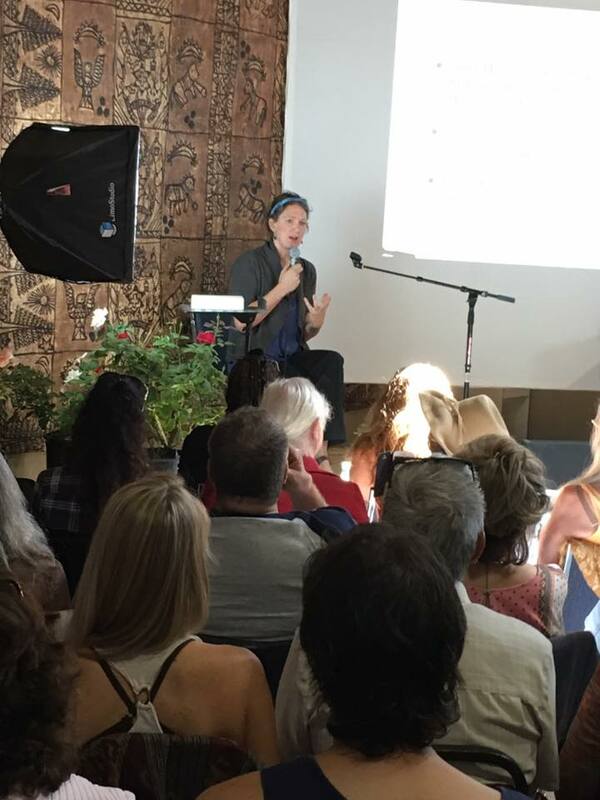 Much of the information presented was also shared in a talk he and David Wilcock did during theConsciousness Life Expo earlier this year. Secret societies were developing antigravity technology during the 1800s, and were somewhat successful. Viktor Schauberger was studying antigravity in nature and was forcibly recruited into the early German SSP. The Vril women, headed by Maria Orsic, were in contact with positive extraterrestrials. They had benevolent intentions and developed spacecraft for the purpose of uplifting humanity. They ran a program that was privately funded and independent of darker programs developed by other German groups. The Americans were in contact with several different non-terrestrial races between the late 1940s and mid 1950s. Military minds at the time referred to some of them as “space hippies” and refused to accept their messages of peace. The military industrial complex, after being forced to sign treaties with a Draco-aligned German group, began an expansion of the secret space program. This lead to the brain drain of the mid 20th Century, wherein men and women of prominence were recruited into secret space programs. In some cases, this recruitment was overt, but in the US it was largely kept secret. Ronald Reagan was briefed about extraterrestrials and SSP activity. Goode was recruited into the SSP during his Christmas break of 1986, severing for just over 20 years. The Global Galactic League of Nations faction of the SSP was a cover to hide the ICC and Solar Warden programs. Those nations who agreed to participate had to maintain utmost secrecy and operate completely out of the solar system. They were told and believed that the program was an effort to maintain the continuity of the human race by way of gathering advanced technology and experience needed to defend against extraterrestrial threats. Most nations agreed to the proposal. They were told no extraterrestrials civilizations exist in modern times, only ancient ruins. They were told that any unidentified spacecraft encountered were actually future humans. The first massive sphere entered the solar system in the 1980s, called “the seeker.” This sphere was metallic in appearance. Later more metallic spheres came in but eventually they phased out of sight and took up positions throughout the solar system. Not all these spheres appeared to be metallic. At this point, the presentation ended and a Question and Answer portion began. Corey Goode and Rob Potter during Q and A. Military Abductees (MILABs) are trained and placed in SSPs as well as Cabal syndicates. Not all go to into space programs. The Vril programs broke away from the Nazi’s and settled in South America. They had interactions with the darker German groups but were not directly associated with their activities. The Vril had more spiritual goals, seeking to share knowledge for the upliftment of humanity. Their work was somewhat corrupted by the darker groups who used it for their own ends. These darker groups developed and used age regression technology on themselves [possibly explaining contactees encountering beautiful women that claimed to be humans from another star system]. The Vril traveled outside of the solar system. They were last seen in the 1970s. The Dark Fleet has been known to operate in our local star cluster of 53 stars. During Goode’s recent meetings with the Blue Avians, he encountered a human-like individual named Mica, an ambassador of a planet that was liberated two generations ago. They live for 300 “cycles” in their system, which Goode is unable to say how that converts to earth years. Mica said “we are close cousins of humanity,” here to help us if we accept their offer. The Draco has been forced back several times in the past but always manage to encroach back in later. There are two star systems they have strongholds in, ours is one of them. There is a race of negative Nordics who work alongside the Draco. They have six fingers. Galactic Slave Trade and human trafficking: most of the advanced tech produced in the SSPs came directly from slave labor. Many of the over 900 civilizations actively trading with the ICC are amoral and don’t care how the technology is produced. However, the ICC does not reveal the slave trade as a normal part of business dealings, [suggesting that some of these recipients are unaware of how it was produced]. The Draco-reptilians are “eating” some of the people lost to human trafficking. Human trafficking sometimes occurs via large containers filled with people in stasis. Men, women, and children are traded and used for all kinds of purposes. Part of the treaties between humanity and various ET groups was to use age-regression and memory-wiping technology [possibly to maintain the integrity of their extraterrestrial programs and experiments]. Goode’s memory recall began when he went to the doctor for a detached retina injury. The doctor was questioning him about his involvement in SSP because only people who went to space have these problems. The doctor seemed to know of these secret projects and was attempting to get intel from Corey. This triggered some of his memory recall. Entity attachments are used in mind control programming to keep people quiet and compliant. Most of them come from the outer realms, according to the Blue Avians. Corey’s presentation ended with a bang as the crowd stood in applause. It was nice to see everyone supporting him during this talk. Laura Eisenhower offered an impassioned and extensive set of information for her talk. It was arguably a six-hour presentation compressed into three. As such, I was not able to take many detailed notes. However, much of the information can be found on her website Cosmic Gaia 2012. Higher frequencies have a greater capacity to hold and transmit information [suggesting that as we raise our vibrations and open our minds to all things, our ability to receive insight and information from all sources increases]. We are here to reclaim the cosmic archetypes (God, Lucifer, Gaia, Sophia, and so on) and restore them to wholeness. All free-will abrogation is mind control the illusion is that our free will can be trampled or overridden, when in fact, we were deceived into giving it over in some way, such as implied consent or acquiescence. Dwight D. Eisenhower was trying to blow the whistle on the military industrial complex and Majestic 12. Winston Churchill made a deal with the Draco first. There was a wealth of information Eisenhower provided during her talk. What I found most compelling was that it thematically reinforced the idea that people on Earth at this time are instrumental parts of the shift taking place. Our choices and actions are more important than any ET race or other influences. I also appreciated the fact that she said we must heal the negative not ignore it, which provided a well-rounded and empowering theme to data presented by other speakers. During Goode’s second talk, he finished his review of the SSP factions and history as well as covering some of his inner-Earth experiences. The pseudonym GoodETxSG stands for his last name (Goode) followed by Texas State Guard. The Outer Barrier that went up after the Cabal attempted to destroy a sphere on December 5th, 2014 was primarily to keep the Draco trapped within the solar system [presumably for some cosmic justice event yet to be realized]. ISS Astronaut says “Oh my god!” when a UFO appears close by. Here is a video. Two atrocities performed by SSP Alliance. One involved the destruction of a production facility on Mars, killing 240,000 people. The second involved an undersea base off the coast of South Carolina run by the Draco. Thousands of people who were being kept prisoner for various experimental research projects were killed. During the meeting with the White Royal Draco, wherein it interfaced with Goode, five slave women were returned as a show of good faith. The Draco had a musky urine smell that was strong and overwhelming. At this point, another Question and Answer section began. The mind meld with Kaaree was a big factor in Goode’s transition to veganism. Mandela effect seems to be an indication that timelines are merging. We can expect more as time goes on. The SSPs used advanced prediction software to predict a possible window of 2018 to 2023 for when the “solar sneeze” would take place. This would involve some kind of three days of darkness event. Those races who want to assist humanity at this time cannot do so due to the Mohammad Accords, but these are going to be renegotiated at some point. Most notably the inner-Earth Anshar would like to offer help to humanity before the solar event takes place. Let me take a moment to share my thoughts about negotiation on humanity’s behalf. 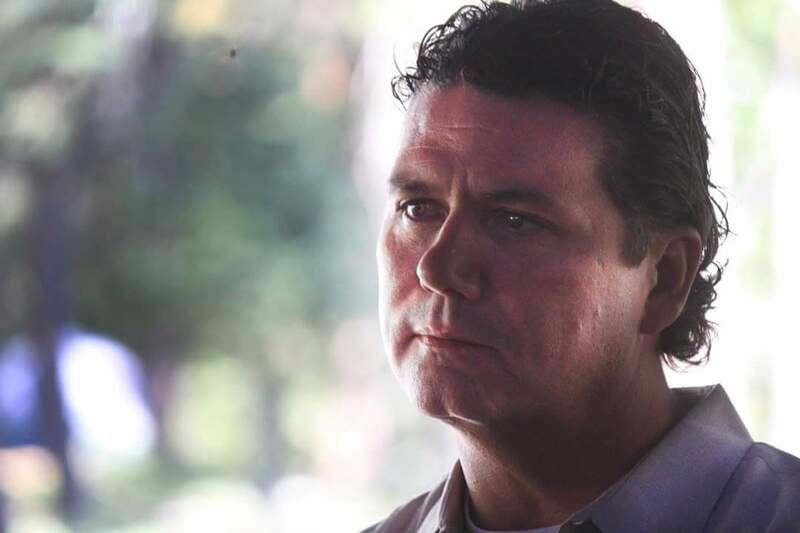 Goode said that ambassador Mica’s offer of help needed to be accepted. This implies that if humanity gathered together and formed an organized group that we could demonstrate our competency and actually bypass the accords to request help from other races. These Accords are discussing how these races will act in relation to unawakened or immature beings. Once we demonstrate maturity, our position at the negotiating table will be assured, and I suspect this is one of the reasons the Cabal was so dedicated to advancing secret space programs in general, as it would change the exopolitical climate for Earth. But to be clear, maturity is not defined by another being’s judgment of us. Maturity in this sense is the ability to work together to form a society strong and capable enough to be recognized, marked by our capacity to effect change as a coherent unit. Consider how a union, through their refusal to work at a place of employment, forces recognition and facilitates negotiation. If the awakening community was equally organized they could be much more effective in realizing meaningful change and taking actions to let our would-be controllers know they no longer have power over us. Forming a society that can negotiate on our own behalf is a worthwhile pursuit for all involved. From a lawful perspective, we would need to settle our differences and form a charter or incorporated agreement that establishes our competency to manage our own affairs. This would provide a way for each individual’s voice to be heard and added to a chorus of others so that we can work together as a cooperative unit. Our lack of organization is what enables the other groups to negotiate on our behalf because as individuals we continue to contribute to the systems of enslavement. Developing a community that allows us as individuals to withdraw from the Cabal’s society, simultaneously solidifies our competency and maturity while also dealing a blow to the systems of control on Earth. Therefore, restoring relationships and trust with our fellows so as to provide material support that is ethical and non-damaging is the ultimate solution to solving the lack of ascension candidate problem while also cutting off a supply of vital energy for the Cabal to continue their machinations. I intend to speak more about this in the future. The solar event will take out the electrical grid along with all AI signal. It will also destroy the nanites within AI infected races, which could mean that negative groups who are enslaved by technology change drastically after the shift. A financial reset and debt jubilee will be part of full disclosure events. A sliding scale of compensation for damages will take place. And a revaluation of all currencies will occur—at least this is what is being discussed by certain groups [and it matches what Benjamin Fulford and others have shared]. Goode had no rank during his 20-and-back service. He was a specialist called in for certain projects and tasks. One of these was the Intruder Intercept and Interrogation Program wherein he would interface (telepathically connect) with captured non-terrestrials (without their knowledge) looking for information. During the 1990s, the ICC had over 100 non-terrestrial bases in the solar system and beyond—that Goode knew of. Some of them have large populations of 250,000 persons, whereas others had only 10,000, and some as little as a few dozen. There is a dark star or the nemesis star that is a campaign to our star. It does not enter the solar system as has been theorized by Nibiru researchers. It does interact with objects in the Oort Cloud, which periodically enters the solar system as comets and asteroids. There are large numbers of planet-sized objects in the Oort Cloud that have yet to be discovered. Goode suspects that the inner-Earth Anshar base and civilization is somewhere near South America. When Kaaree and Goode shared minds during their encounter, this created an energetic connection. Kaaree told Goode that she will be looking in on him for the rest of his life as a result. [This suggests that when our actions affect others, a karmic bond is formed, and we are not duty-bound to service them honorably]. After this mind meld, while Goode was still consuming pharmaceuticals to treat his condition, he decided to stop using all of them. Normally there would be severe detox symptoms associated with this but he stated that he experienced none, attributing this effect to his increased vibration after their intimate meeting. Unprocessed karma is a “parachute” that holds back spiritual progress [hence those of us who haven’t acknowledged the harm we have caused can’t ascend]. World leaders are informed about the SSP and ETs in some capacity but probably given a false narrative. The best way to overcome mind control is to raise your vibration [i.e. become aware so that we can think for ourselves and gain self-mastery]. Hypnotic Regression therapy can help heal trauma and unlock hidden memories but it should be taken very seriously. Finding a properly trained practitioner is essential. Sometimes false memories can be implanted by unskilled hypnotherapists. Grey abductions are still taking place; some of these are starseeds from the Grey races. Some are not. The SSP has a capture-or-kill order out for a feline species of highly evolved ETs. They are very benevolent, can travel using mental projection, and are trying to help. This ends the Q and A portion for Corey. Unfortunately due to travel needs, we had to leave after his presentation. I look forward to reviewing the second part of Dr. Salla’s talk once the archives become available. Mount Shasta the day after the conference. Feel free to look at some of the photos I took during this event hosted on Facebook.